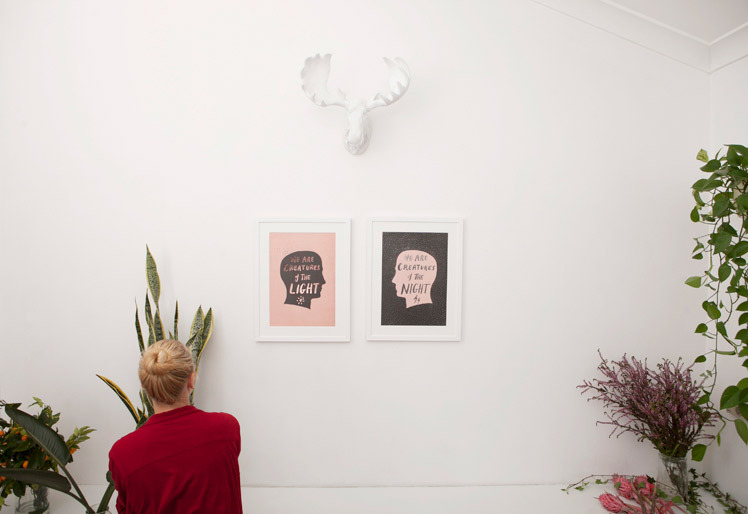 FK chats to the Amanda & Benjamin, the super couple behind art prints & stationery label The Adventures Of. 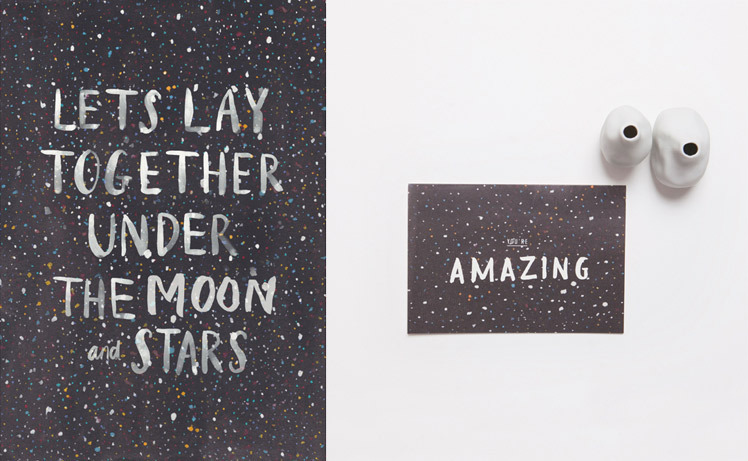 Their mesmerising designs will take you to the moon and back! Tell us a bit about The Adventures Of and what products we can expect to discover? 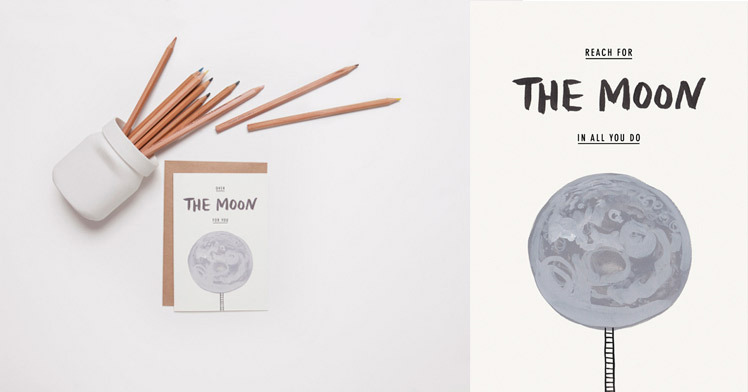 For our debut collection, The Adventures Of presents a series of greeting cards and limited edition art prints created from our own hand crafted designs. 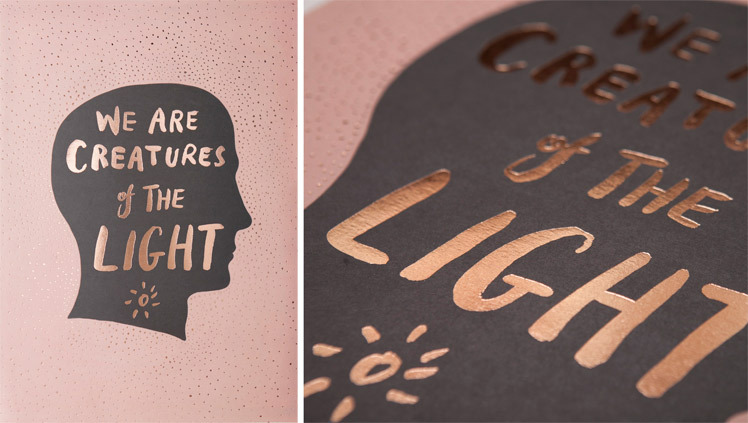 Metallic foil hand lettering often features in our products. Our work is fun, illustrative, nostalgic and just plain happy! Who are the team behind The Adventures Of and what are their roles? 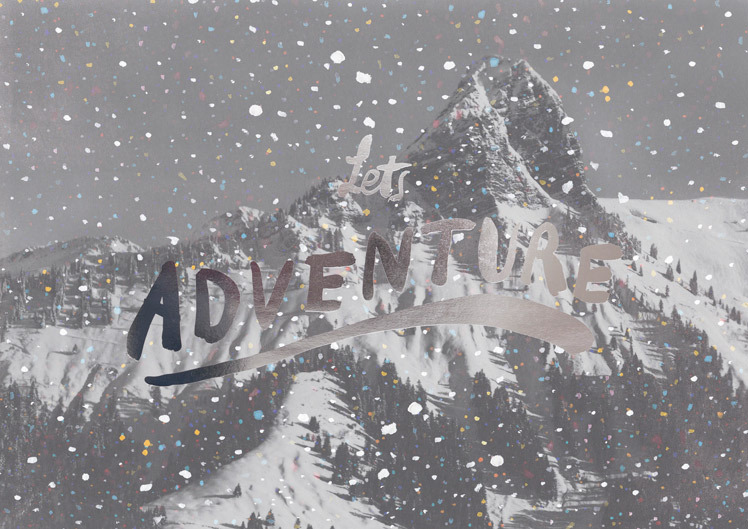 The Adventures Of is the design adventure of husband and wife team Amanda and Benjamin Denning. It’s all really just an expression of our imagination and an excuse to create and illustrate. We both have the creative brains in coming up with concepts for our designs. 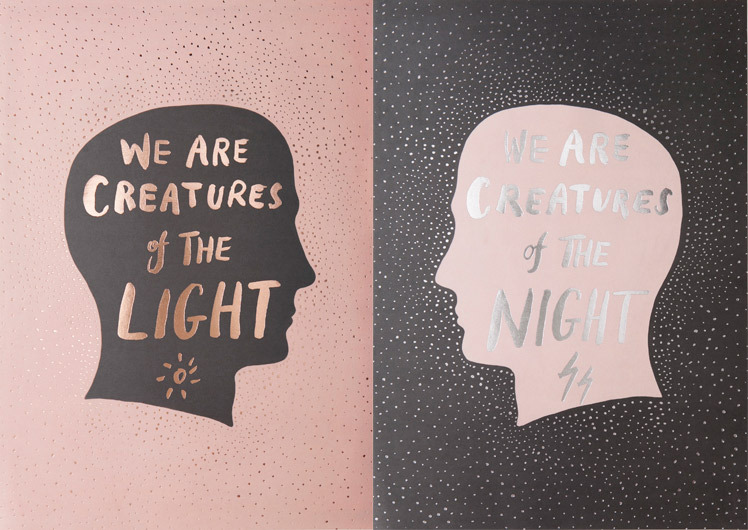 All artwork is hand illustrated by Amanda, we go through a design intensive process from a concept, to mock ups, through to finished art, scanning and laying out finished type. Benjamin is more involved with the sales and business stuff. We both share the load where we can. 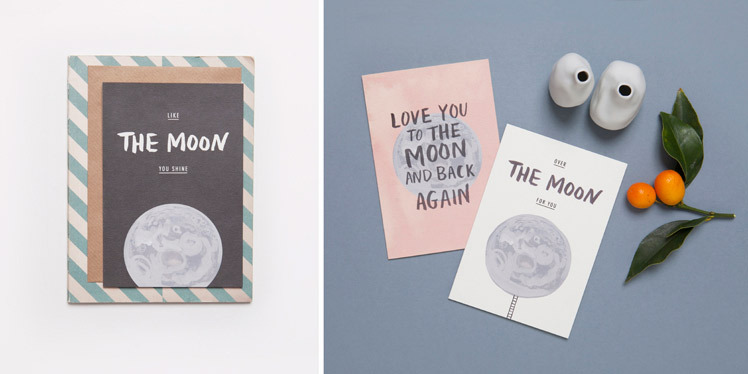 Which other stationery labels do you love? And what inspires you? 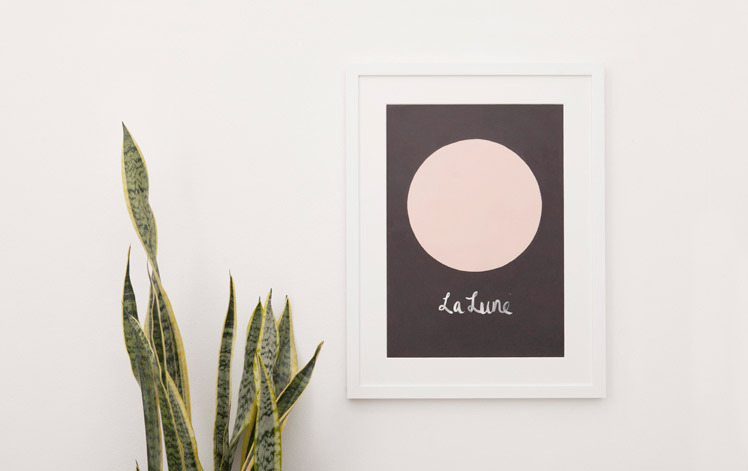 We appreciate so many design labels out there, Rifle Paper Co is a standout and it’s inspiring to know they haven’t been around very long, but now their work has exploded everywhere you look! I am so motivated and inspired by absolutely everything. I like to draw inspiration from the everyday. It could be a striking colour combination, nature, some type on a poster or in an old book. My brain throws out so many ideas daily, my hands can’t keep up and I need to constantly remind myself to complete the last project before moving onto the next. Having 10 half finish works is my best magic trick! Our workspace is white and bright with lots of natural light. It has a wooden desk Ben made (did I mention he is a carpenter by trade?) and a packing table. We just received all our stock so we’re in the process of organising where everything goes, so at the moment it’s a little crazy! I have a separate drawing table and an inspirational mood board for our next collection, which I’m itching to get to. The creative process for each product is an adventure all its own. It’s amazing seeing the whole process from start to finish. Our handcrafted designs involve an intensive design process and technique involving firstly an idea, sketching the concept, then executing the finished art in which ever style we’ve decided, whether it be illustrating fine detail with pen and ink, hand-lettering with a brush and ink, painting with gouache or watercolour. Each design is then high quality scanned for true reproduction and finished with type. The finished artwork is printed on a beautiful ivory uncoated stock and finished by hand in our Sydney studio. Finishings for our cards involve embossing our envelopes, collating with matching envelopes and packaging. Our prints are finished with our authentic embosser and each numbered by hand. To not splurge all our pennies on every idea but to be strategic. We have to be selective, it’s a positive challenge having too many designs to work through when we can only release a number at a time, but it can also feel overwhelming. Another challenge is knowing when to switch off! When it’s your life and you love it, it’s still important to have balance. We learn new things everyday and to us it’s important to stay humble and never stop learning. What I love about it is being apart of a team with my family. We have so much fun it hardly feels like work! It’s so satisfying seeing a product come to life and moulding it’s journey from an idea through to a physical tangible product!